As a part of the big relaunch of a big part of Dior make up range, here it is – a new Diorshow mascara. 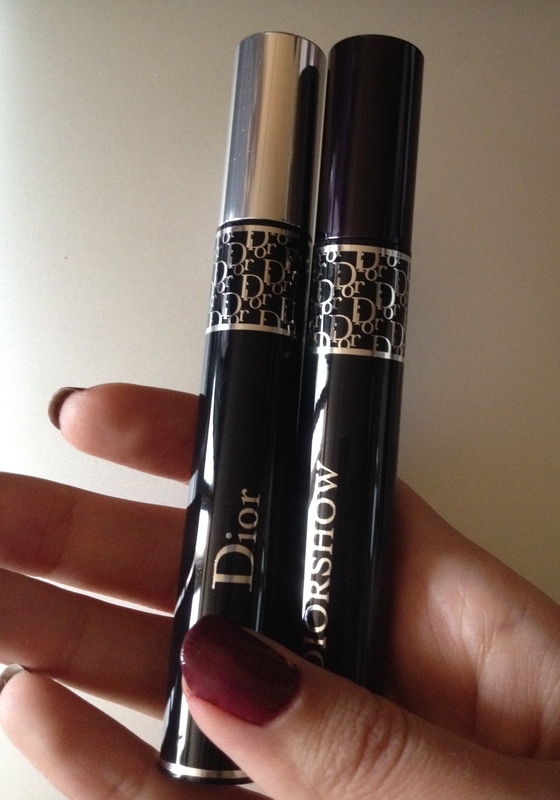 Now I did like the old Diorshow mascara. When I got it for the first time and saw the huge brush, I was, honestly, taken aback. I thought there’s no way this huge thing is going to work well no my lashes 🙂 Guess what, it did. It’s a good volume mascara that gives me volume and length, that is, the emphasis I like on my lashes. 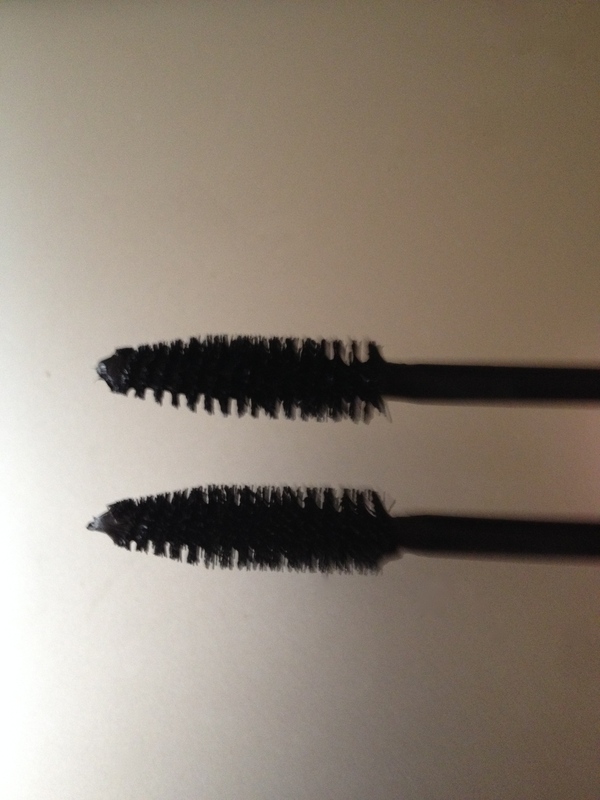 In fact, it’s one of those mascaras that I always have now and often use. So, I was a little nervous when I was trying out the new formula, because I was afraid it would get worse. 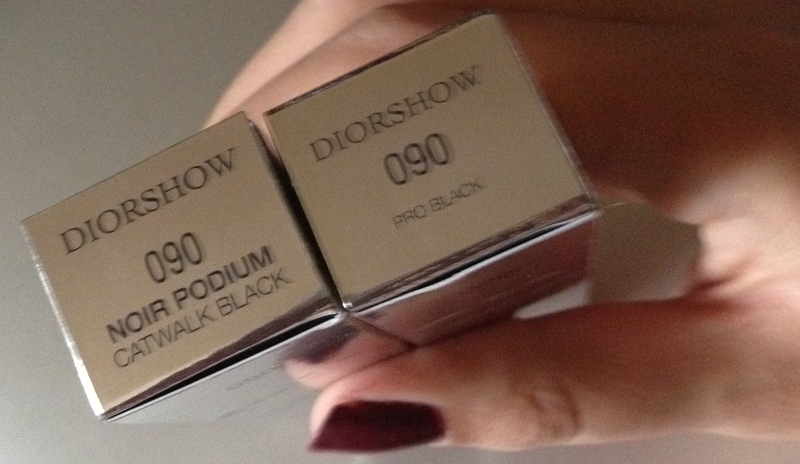 Let’s take a closer look at the new Diorshow 090 Pro Black. 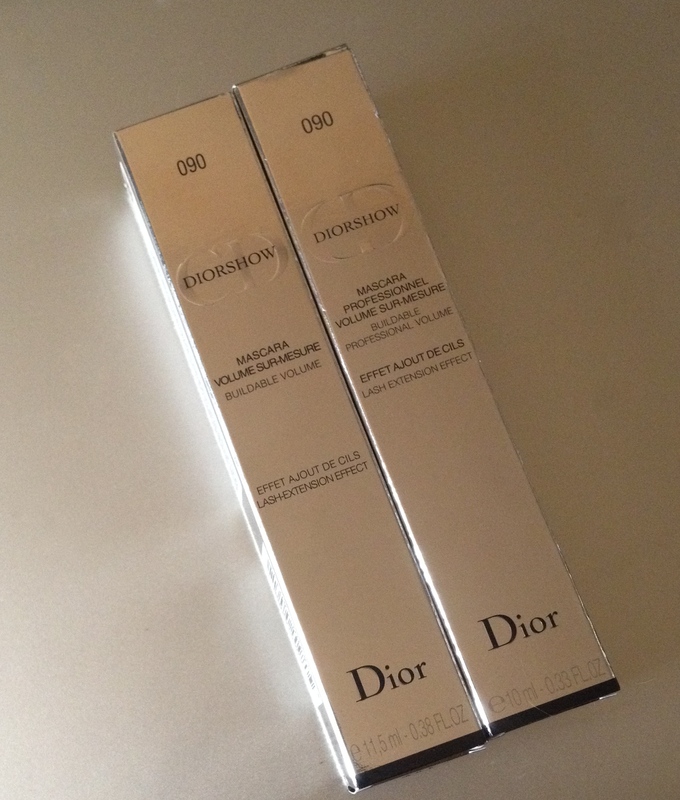 The old formula Diorshow is on the left, the new one is on the right. The packaging is pretty much the same. The same design. The same size. The only difference I spotted is the word ‘professional’ that showed up on the new package. And ‘pro’ that’s in the name of the shade now and was not there before. I’ve already mentioned that I’m always careful about ‘professional’ takes on consumer make up. Consumer make up and professional make up are different, because they have different goals. And, in my opinion, they actually should be different. 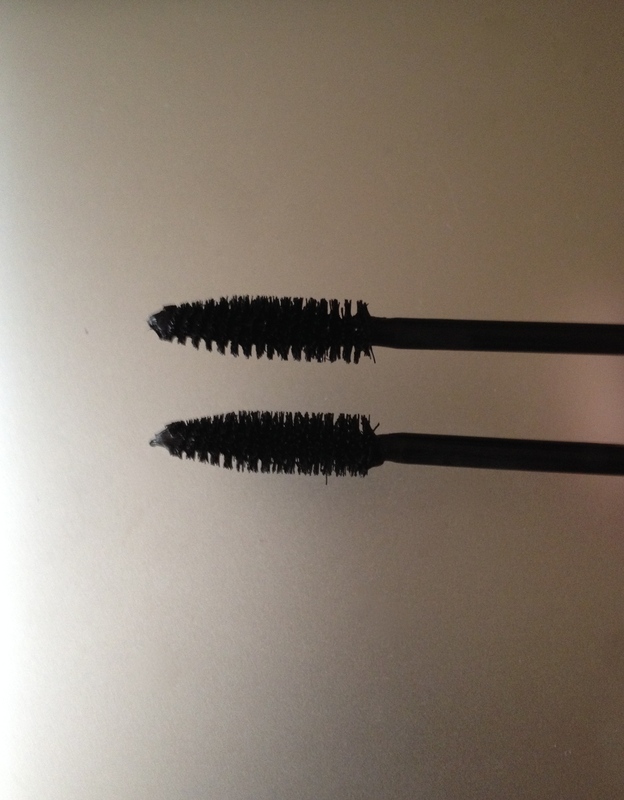 The package of the mascara itself is almost the same too. Only in the new formula the lid is black and not silver. Check it out, the old formula is on the left, the relaunched version is on the right. The brush is as huge as it used to be (the new one is on top here in the swatch). It’s a little shorter and – can you imagine! – a little thicker than the old one. But it’s as comfortable to use as before. No surprises here. Now there was one very specific trait to the old Diorshow mascara formula. The scent. Flowery scent. As sensitive as I am to scent, it’s pleasant, I don’t get a reaction to it. It definitely makes Diorshow mascara stand out. Unique. It would be a pity to lose it in the new formula. Obviously, Dior agrees with me, as the scent holds true. It’s still there. The same. And, finally, how does mascara works on the lashes now? As good as before. If anything, I spotted that my lashes look a little fuller and longer than with the old formula. I’m happy. All in all, this is a good Diorshow mascara formula upgrade. There’s nothing about it that’s worse than before. And although I can’t say it got ever so radically better, it’s a little bit nicer, and it’s always pleasant. My conclusion is that I’ll keep buying Diorshow mascara. It’s part of my rotation, and it will still be after this new release.